The 93rd Bomb Group Museum is on the site of the former Hardwick Airfield, not far from the village of Topcroft (not Hardwick) in Norfolk, UK. See MAPS page. The museum items are housed in four original Nissen (Quonset) huts, three of which have been renovated, and one brick building. See pictures below and an overhead view on the MAPS page. The huts are numbered 1, 2 and 3 and the brick building is the MESS HALL (canteen, NAAFI). Part of the 93rd Bomb Group Museum site viewed from the south. is presently unused and the Mess Hall is to the left but out of shot. 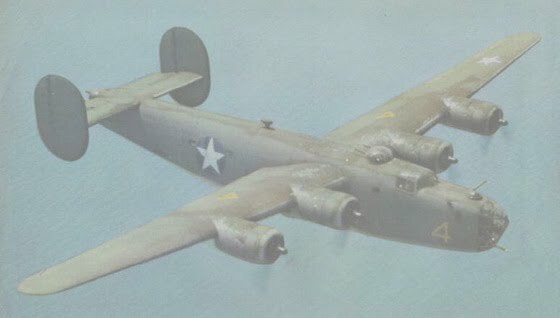 ... displays items of USAAF memorabilia and artefacts. Many parts on show were recovered from P51 Mustang, P47 Thunderbolt, P38 Lightning, B17 Flying Fortress and B24 Liberator crash sites. The Large items such as engines and small parts like instruments are on show. ... displays relating to the 93rd Bomb Group, including original photographs and documentation. The RAF Memorial Room has uniforms and parts large and small, including a Lancaster wing tip and Stirling tailplane. ... contains a Red Cross cabinet, an American uniform cabinet and one containing a B24 liberator original radio operator section - awesome ! Formerly items relating to the 489th Bomb Group, Halesworth (Holton), were housed here. Halesworth moved to its own museum in the winter of 2012. There were two brick buildings on the 93rd Bomb Group Museum's site, both in poor ocndition. One has been used to restore the other so there is now just one brick building in good condition. 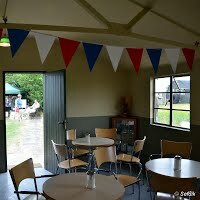 This is the mess hall for visitors on OPEN DAYS and a reception centre. See layout on MAPS page. Outside on a sunny but overcast (8:8 cloud) day in July 2013. See also MESS HALL page. Next to the museum is a private commercial airstrip (Hardwick Warbirds). One of the original runways (13-31) of the main site is used as another private airstrip. 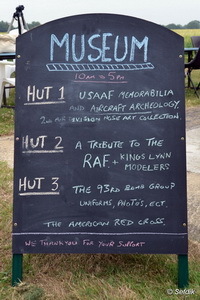 On museum open days there are sometimes co-ordinated events on either airstrip as well as other displays e.g. classic cars, military vehicles. These are housed in the buildings and on OPEN DAYS are displayed outside if the weather is fine. You can touch and operate some of the exhibits, such as a hand-cranked siren, or ride the WWII bicycle. There is a collection of uncatalogued papers. There is a collection of uncatalogued photographs. See also GALLERY. Everyone is welcome to the 93rd Bomb Group Museum. That includes children and less able persons, including those in wheelchairs. The museum buildings are set in grass and the ground may be muddy at times. Pushchairs and wheelchairs may need extra effort. On OPEN DAYS one of the 93rd Bomb Group Museum's volouteers will be pleased to help with wheelchairs, buggies, reading display signs etc. Visitors need to be aware that some of the exhibits are of crashed aircraft. TAKE CARE to avoid injury. Children and animals should be kept under close supervision. Fitz's bandana is made from original USAAF material with genuine badges - it represents his uniform. He has the rank of colonel and has been on many missions in the WWII re-enactment field. His home is Mendlesham Airfield, also home of the 34th Bomb Group, but here he is shown on a friendly mission to Hardwick which he really enjoyed – especially the MESS HALL.